© 2019 Rocket Hog. All Rights Reserved. 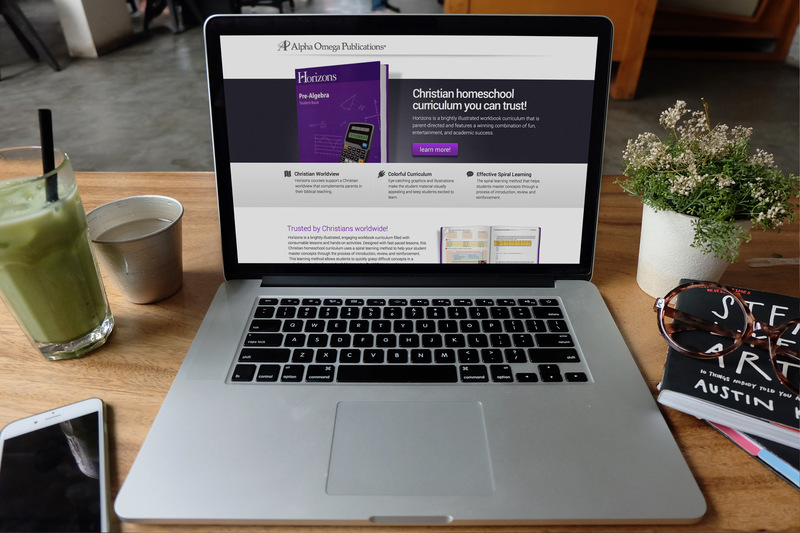 With online, print and computer based homeschooling curriculum formats, Alpha Omega Publications has the right Christian homeschool curriculum for families across the globe. As a leading Christian homeschool publisher, AOP’s award-winning educational products have enabled thousands of families to discover the amazing benefits of a Christian homeschool education. Rocket Hog partnered with Alpha Omega Publications to provide of a comprehensive digital strategy to increase online conversion rates and total online revenue. The Horizons curriculum landing page featured the core benefits of this brightly illustrated, engaging workbook curriculum filled with consumable lessons and hands-on activities that uses a spiral learning method to help students master core concepts. 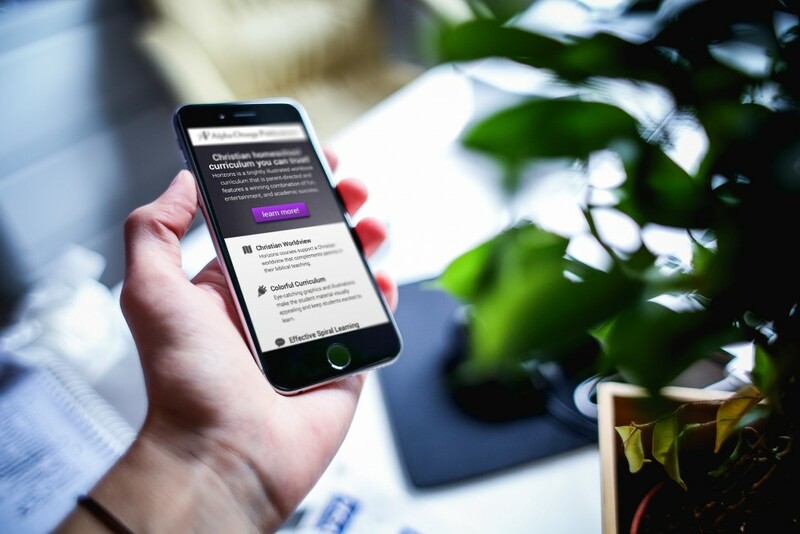 The landing page design implemented a responsive design creating an engaging experience no matter the users device. 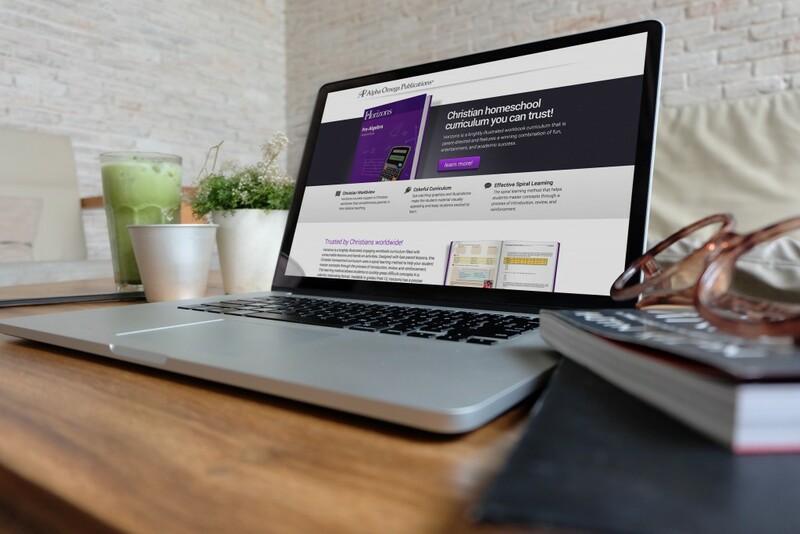 The Horizons curriculum landing page focused on presenting the core benefits of the product. Key social proof triggers were also included to build trust and drive conversions. Alpha Omega Publications was able to see a double digit increase in conversions and total online revenue. The digital strategy which included a combination of paid search and display campaigns, remarketing, landing pages and social triggers was a smashing success.